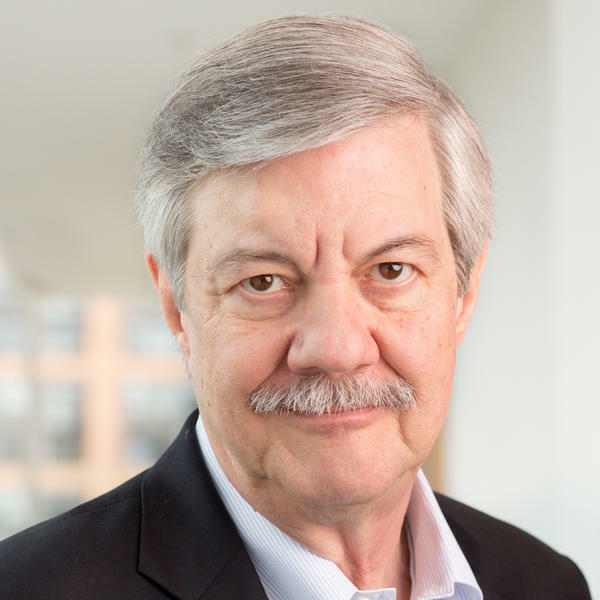 Ron Elving is Senior Editor and Correspondent on the Washington Desk for NPR News, where he is frequently heard as a news analyst and writes regularly for NPR.org. He was previously the political editor for USA Today and for Congressional Quarterly. He has been a Distinguished Visiting Professional in Residence at American University, where he is now an adjunct professor. In this role, Elving received American University's 2016 University Faculty Award for Outstanding Teaching in an Adjunct Appointment. He has also taught at George Mason and Georgetown University. He has been published by the Brookings Institution and the American Political Science Association. He has contributed chapters on Obama and the media and on the media role in Congress to the academic studies Obama in Office 2011, and Rivals for Power, 2013. 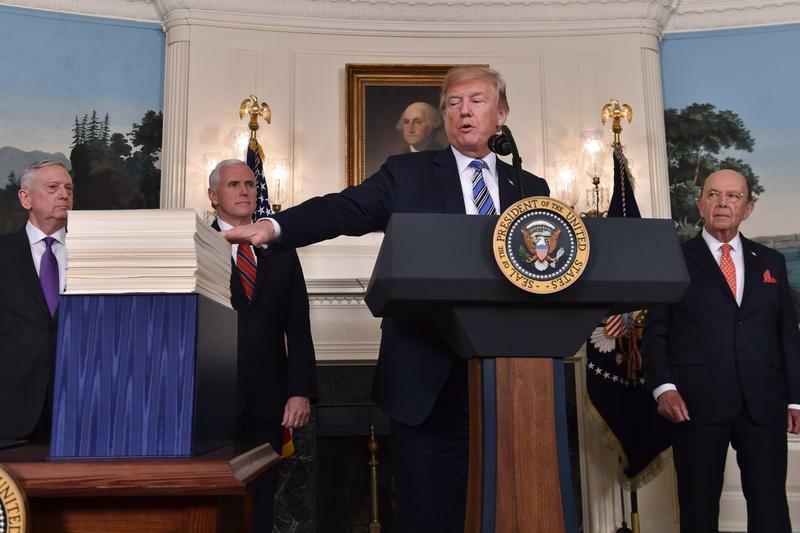 Ron's earlier book, Conflict and Compromise: How Congress Makes the Law, was published by Simon & Schuster and is also a Touchstone paperback. 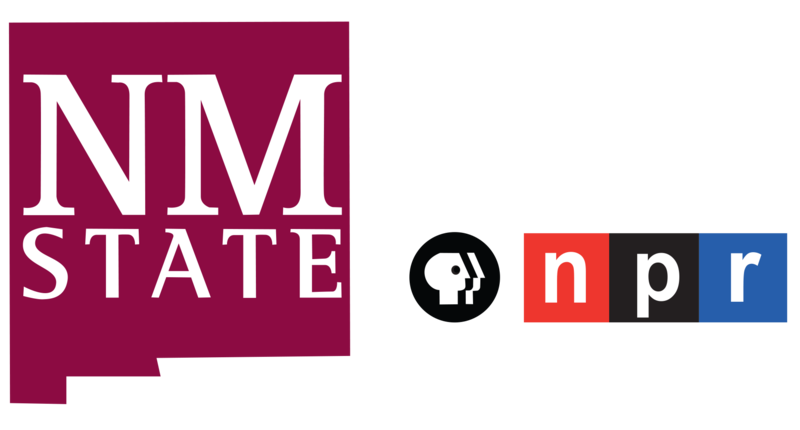 During his tenure as the manager of NPR's Washington coverage, NPR reporters were awarded every major recognition available in radio journalism, including the Dirksen Award for Congressional Reporting and the Edward R. Murrow Award from the Corporation for Public Broadcasting. In 2008, the American Political Science Association awarded NPR the Carey McWilliams Award "in recognition of a major contribution to the understanding of political science." 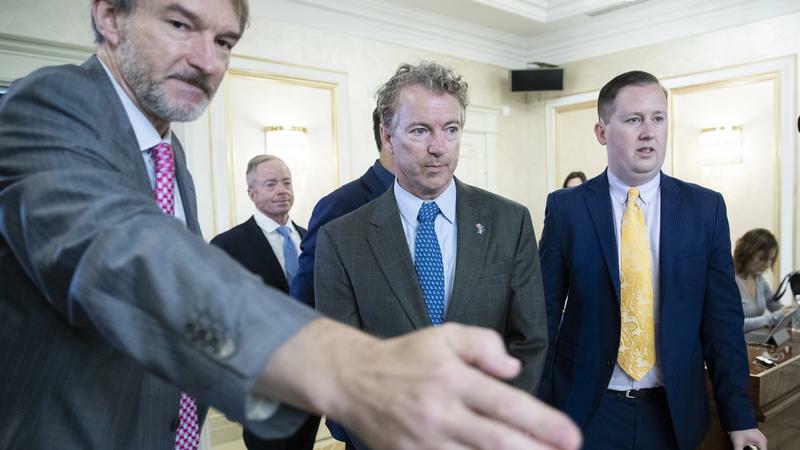 Ron came to Washington in 1984 as a Congressional Fellow with the American Political Science Association and worked for two years as a staff member in the House and Senate. Previously, he had been state capital bureau chief for The Milwaukee Journal. He received his bachelor's degree from Stanford University and master's degrees from the University of Chicago and the University of California – Berkeley. 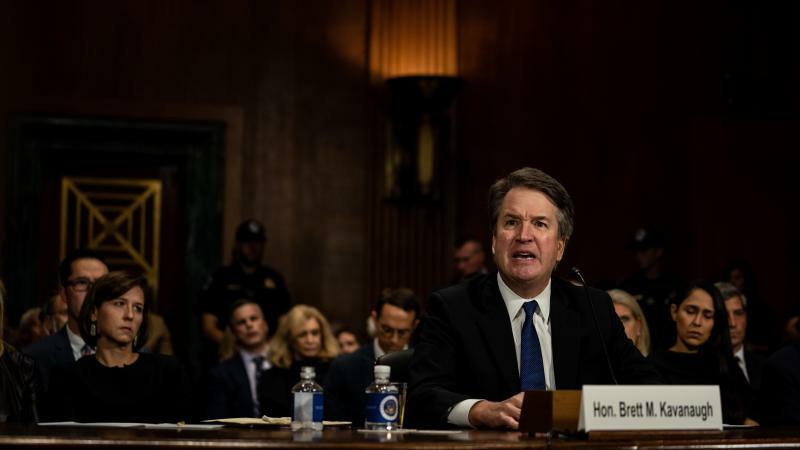 Judge Brett Kavanaugh may take a lifetime seat on the Supreme Court as early as next week, but only after shattering a rule about the confirmation process that had been set in stone for decades. It was the rule that said you stood by your judicial record but held on tight to your judicial temperament. It was understood you had a party affiliation, but it shouldn't be worn on your sleeve. And above all, you were not to antagonize anyone. You could call this the latest in a list of Capitol Hill norms to be lost in the era of President Trump. Brett Kavanaugh is not the first presidential nominee to have his run to the Supreme Court frozen at the finish line by a woman's accusations. 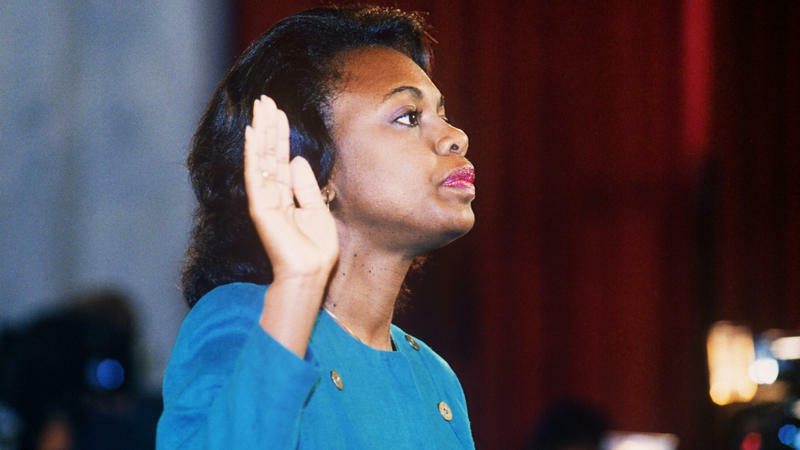 Throughout this week of turmoil in Washington, the historical backstory has been the 1991 confrontation between Supreme Court nominee Clarence Thomas and a former colleague named Anita Hill. 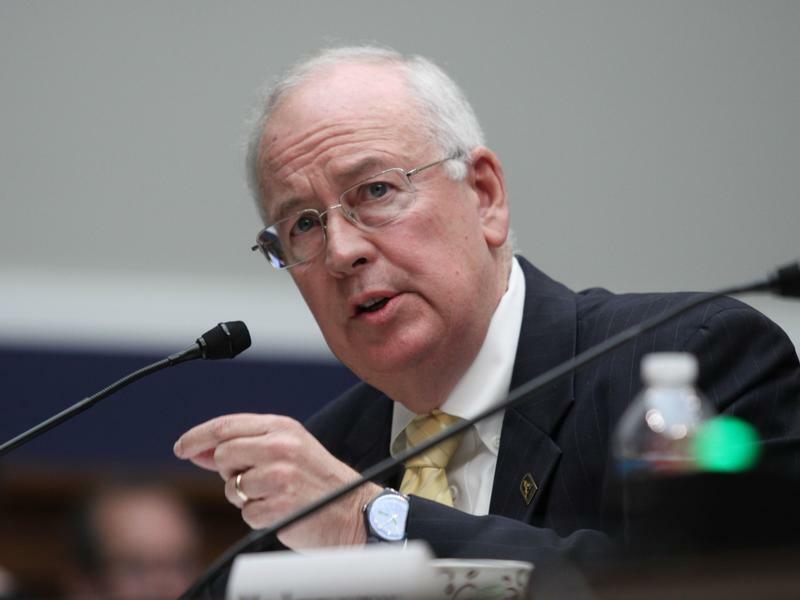 Anyone contemplating the impeachment of a president should read Ken Starr's new book on the case he made for the impeachment of Bill Clinton in 1998. Not that the author of Contempt: A Memoir of the Clinton Investigation is interested in setting the stage for the next impeachment. 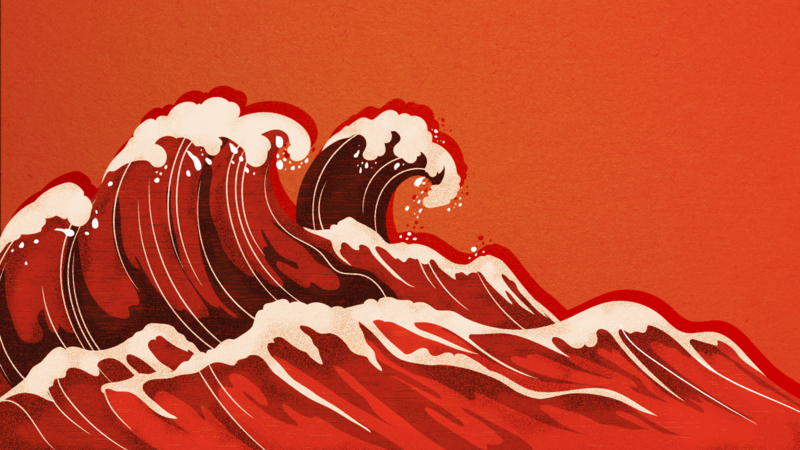 His immediate mission here is reshaping our memories of that earlier "national trauma." For nearly half a century, Bob Woodward of The Washington Post has been reporting on presidents and power. 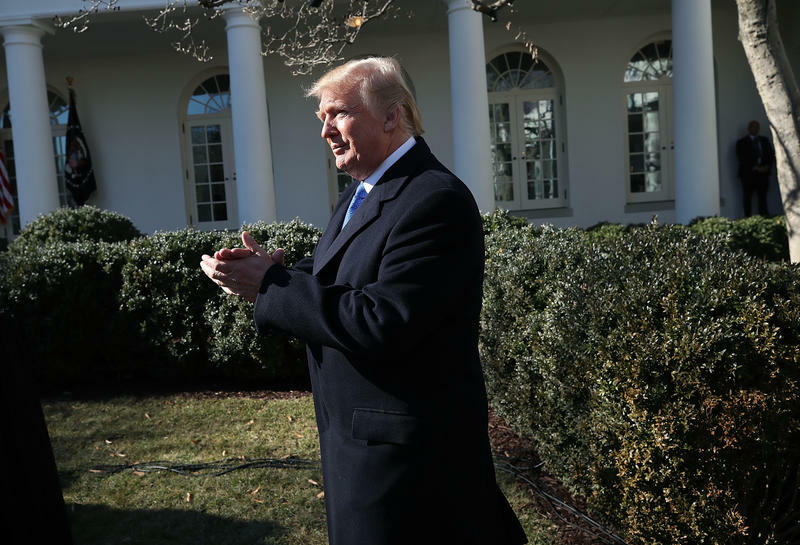 But not since he covered the Watergate scandal in the 1970s has he assayed a presidency in crisis the way he does in Fear: Trump in the White House. Woodward has published 18 previous books, most of them about presidents. They typically offer a rather doleful view of the world and an unsparing assessment of American political leaders. 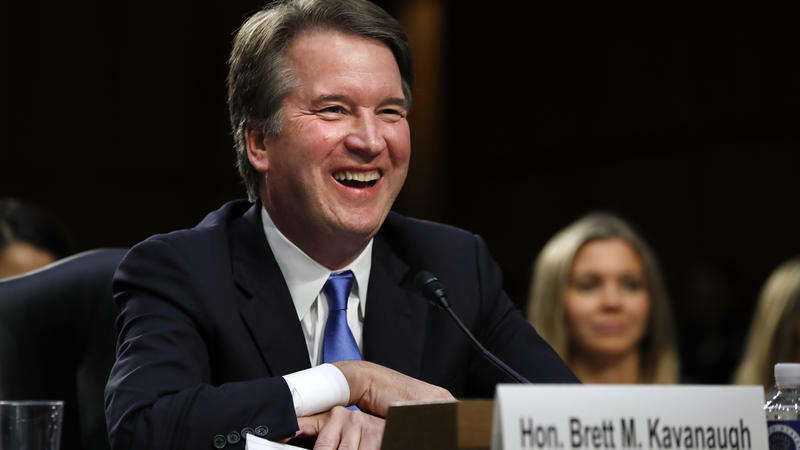 Having watched Capitol Hill for more than 30 years, I have now seen Senate confirmation hearings for an even dozen nominees to the Supreme Court. Some have had moments of high drama. All have had an air of meaning and consequence. In the last couple of years, most of the attention on Senator McCain has been focused on his clashes with President Trump. 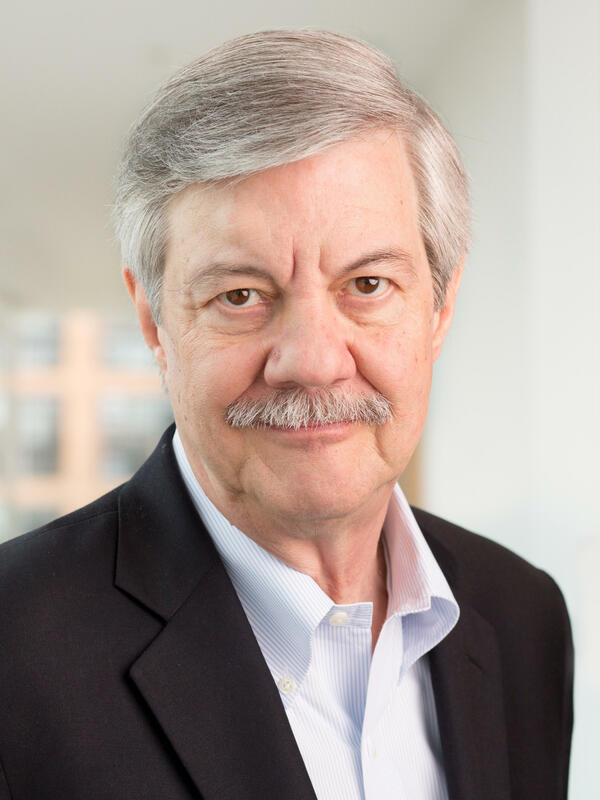 To talk more about that, we're joined by NPR's Ron Elving. Ron, thanks so much. RON ELVING, BYLINE: Hi, Michel. The Trump era has already produced many moments of unprecedented strangeness, but perhaps none to match his triumphal visit to West Virginia just hours after two of his key associates were found guilty or pleaded guilty on a total 16 federal counts in two separate proceedings in two courts. 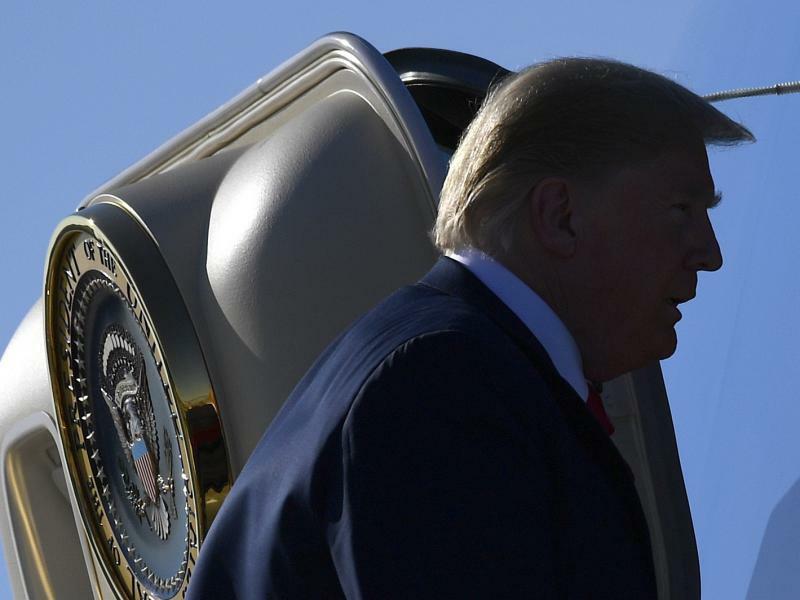 As President Trump enthralled a rally crowd for more than an hour on Fox News Tuesday night, a click to another channel revealed endless tape loops of Paul Manafort and Michael Cohen leaving courthouses. 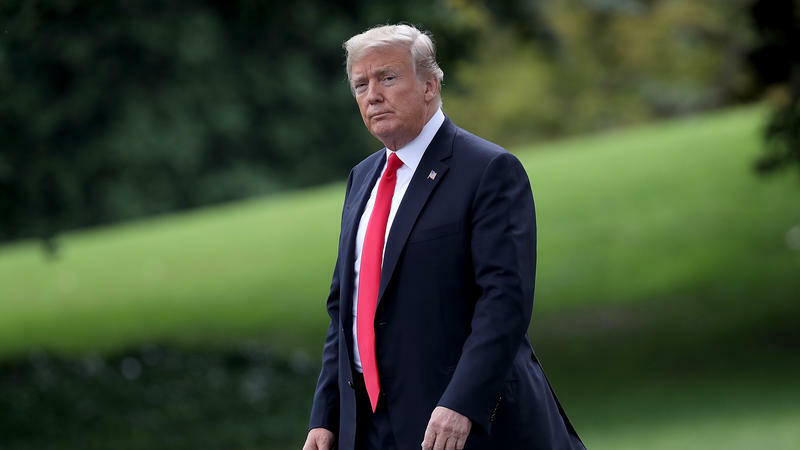 No president of the United States has ever been removed from office by impeachment. But it's hard to watch the news these days without hearing the word. 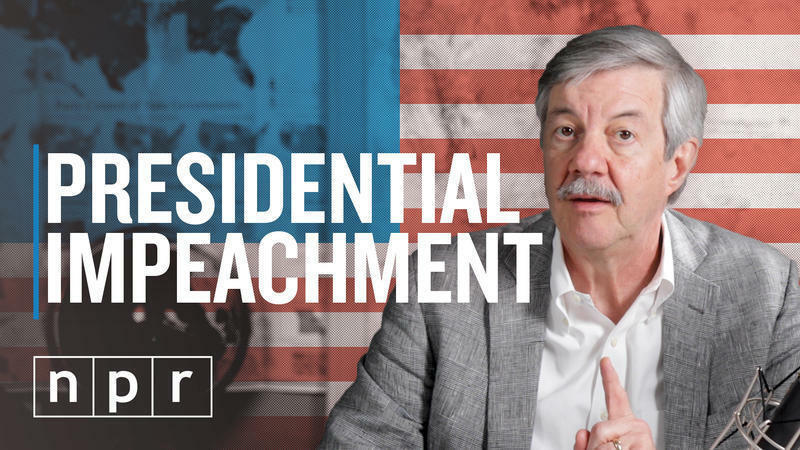 So, what does it actually take to impeach a president? 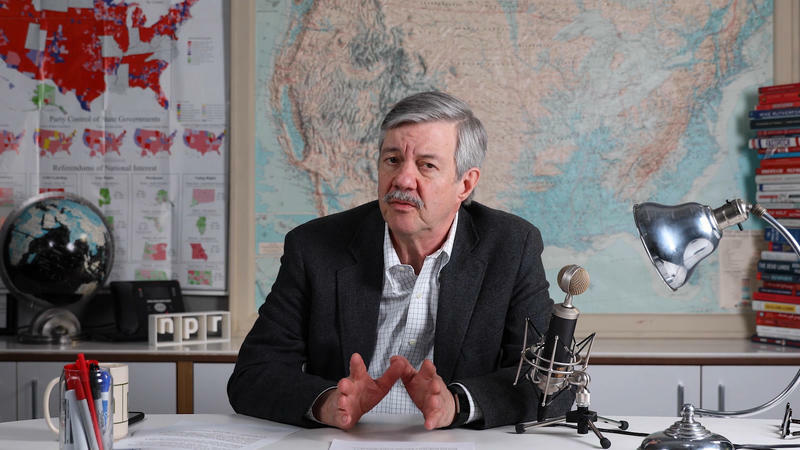 In this Ron's Office Hours, NPR's Ron Elving explains the procedure by which the House of Representative and the U.S. Senate remove a sitting president. The median age in America is roughly 37. So most of the people in this country today have no memory of events in the 1970s, much less the 1950s. But President Trump does. He has not only memories but also direct personal connections to some of the actors in those eras. And the drama of those times remains vivid to him, or at least worthy of mentioning on Twitter. 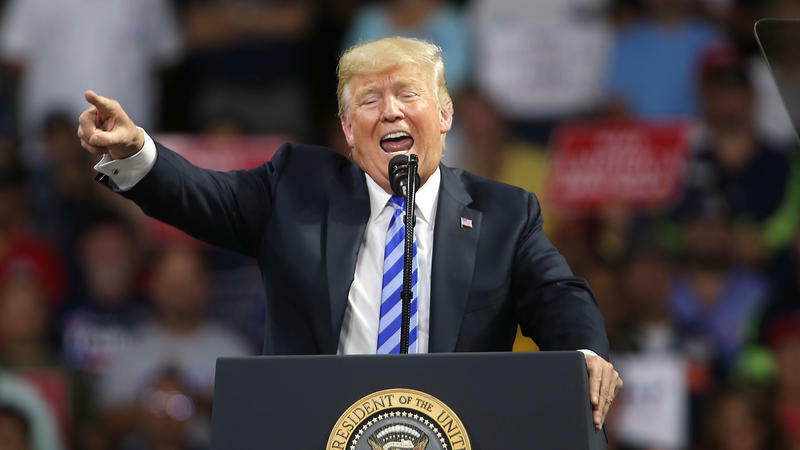 By now, practically everyone has seen that picture of the two guys at President Trump's weekend rally in Ohio wearing T-shirts that said: "I'd Rather be a Russian than a Democrat!" 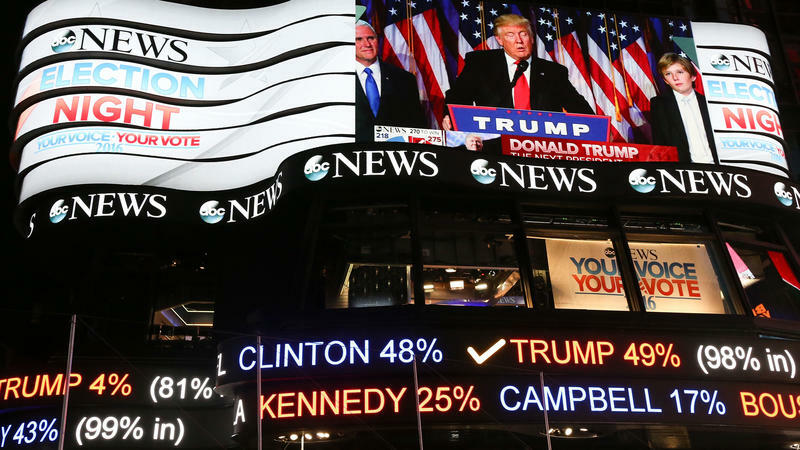 The media world that revolves around President Trump is a world of promising news, which is to say news that is mostly about promises. The stories that dominate front pages and lead newscasts are typically about things that might happen or could happen. And sometimes, these things actually do happen. President Trump does not make "mistakes" in the sense that the rest of us do. We make mistakes, get corrected, make amends, apologize and move on. The president does not. The president may not even tell "lies" in the sense that the rest of us might. If we lie and are exposed, we face consequences that affect us personally. It is different for this president. 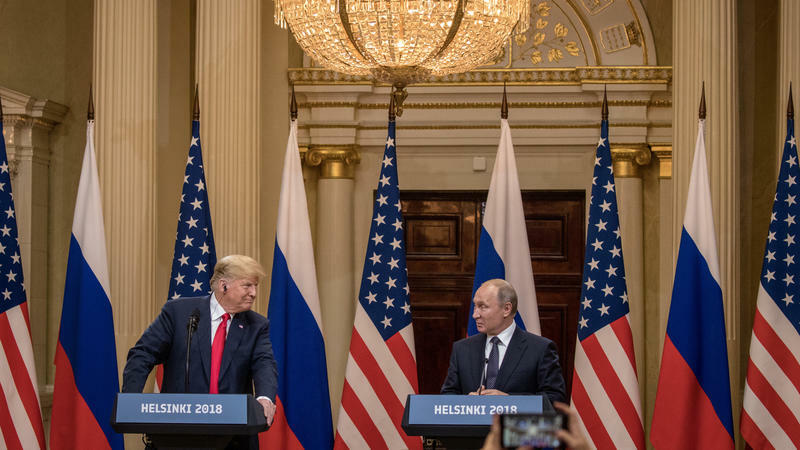 Trump's Helsinki Bow To Putin Leaves World Wondering: Why? If A Rule Is Unwritten, Is It Really A Rule? 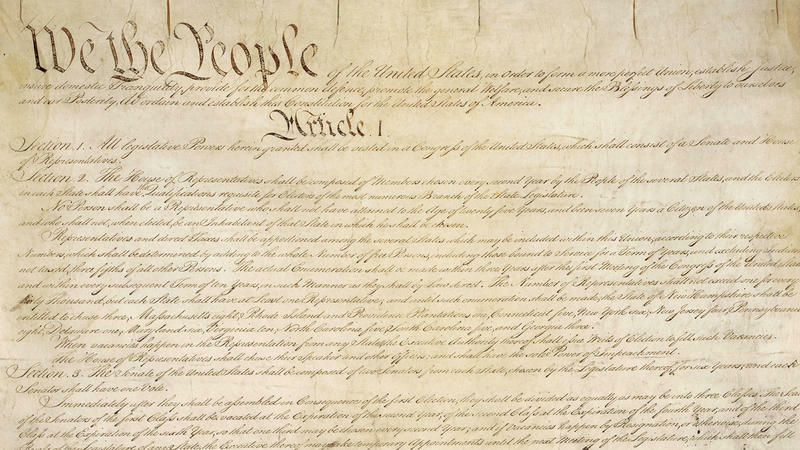 In its early days, Congress wrote a series of rules and precedents — Thomas Jefferson penned a book about it — that Congress has used ever since. But there are also unwritten rules. And it's these unwritten rules that break down when politics get excessively polarized. Anyone who has followed the saga of Sen. John McCain or ever reacted with emotion to his words or actions will recognize the man speaking in this valedictory volume. The voice and manner are familiar enough that we can almost hear and see him on every page. 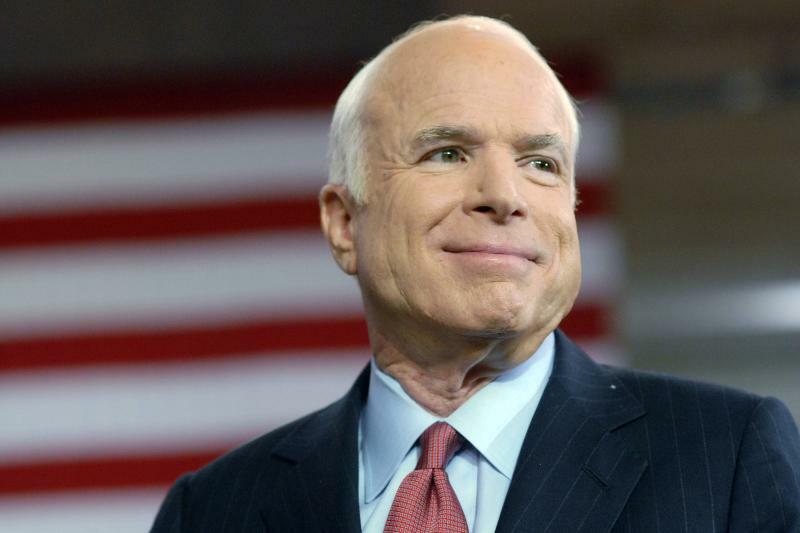 It recalls his previous literary efforts (he has written seven books with longtime collaborator Mark Salter), but it also ventures deeper into our collective memories of McCain and his world — as we prepare to part with both. 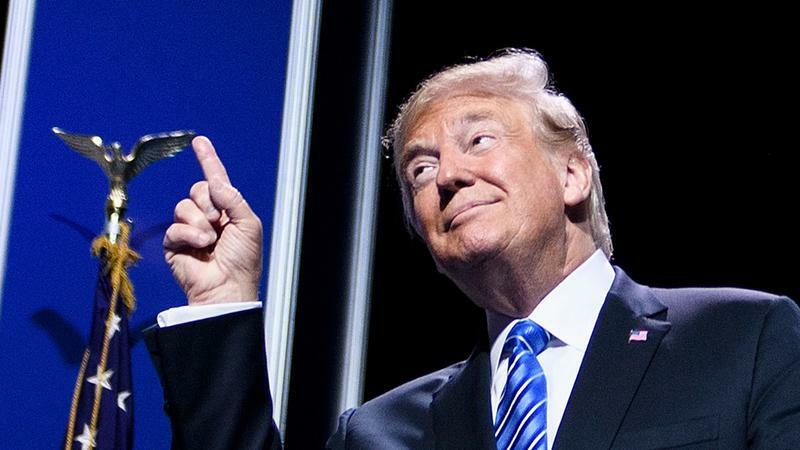 A Higher Loyalty, by far the most consequential book yet in the literature of the Trump presidency, is arriving as political conflict roils every aspect of that presidency. 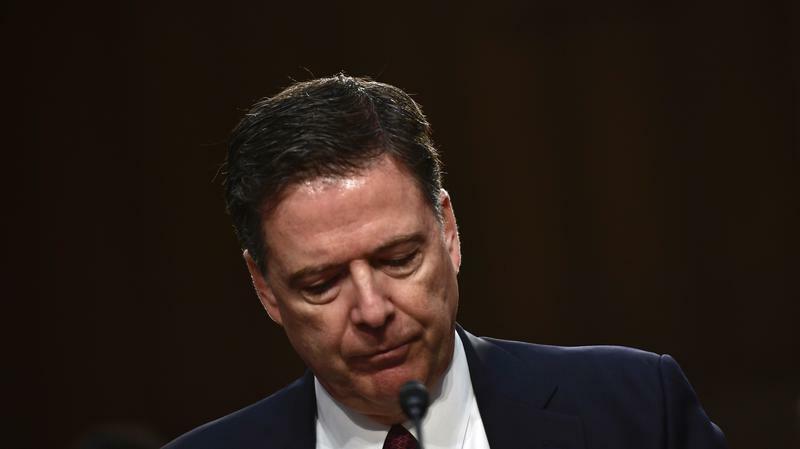 Former FBI Director James Comey's scathing review will not settle the arguments about President Trump, nor will it calm the controversy over its author. 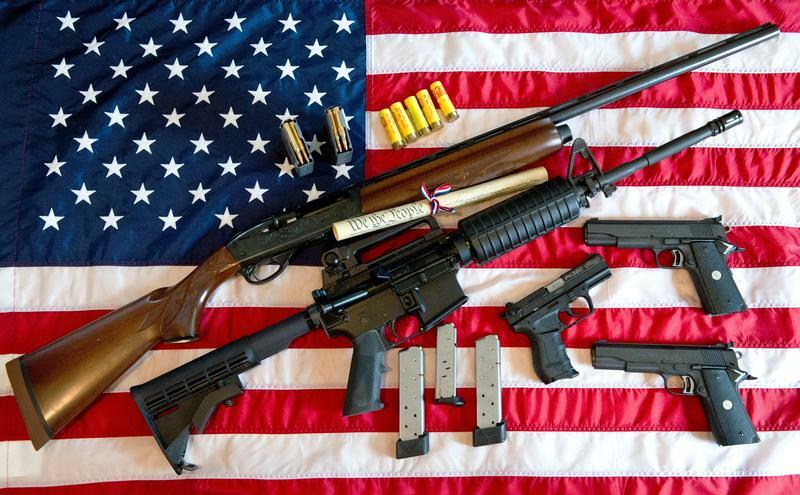 But it will furnish mountains of ammunition for combatants on all sides. In Henry IV, Part 2, Shakespeare writes, "Uneasy rests the head that wears the crown." Speakers of the House do not wear crowns. But if they did, these days their crowns might as well be woven of thorns. 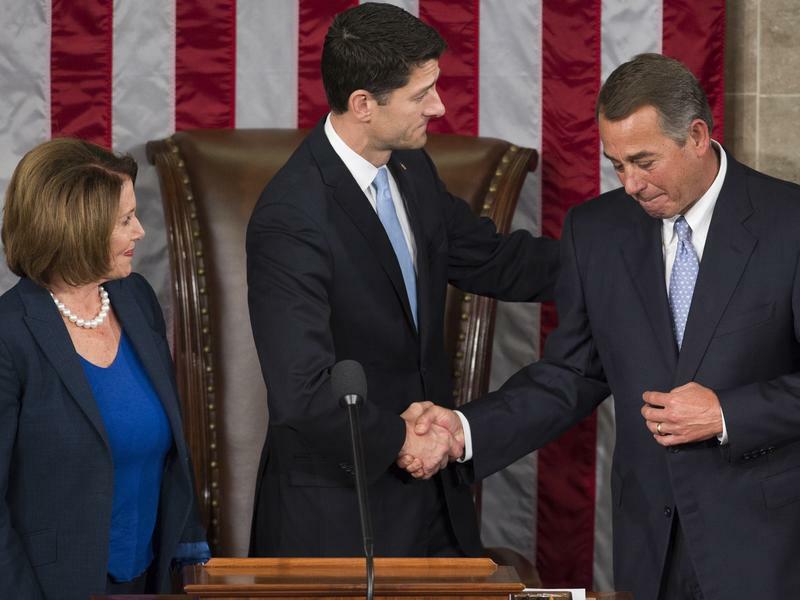 Just ask Paul Ryan, who has announced he will relinquish the speakership by not seeking re-election this fall. The Fall Of Harriet Miers: A Cautionary Tale For Dr. Ronny Jackson? 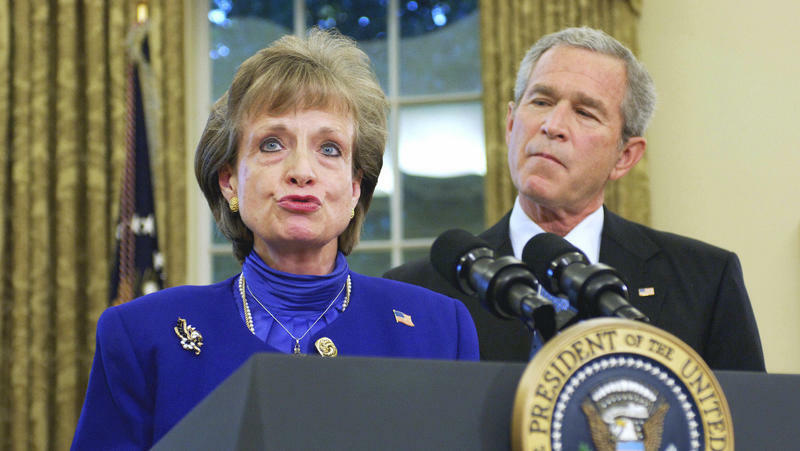 President Trump's intent to nominate his White House physician to lead the Department of Veterans Affairs has brought back a name long absent from the news: Harriet Miers. Miers was White House counsel when President George W. Bush stunned Washington by nominating her to the Supreme Court in October 2005. Miers, who would have been the third woman to serve on the high court, was meant to succeed the first — Sandra Day O'Connor, who was retiring. On the night of March 12, 1968, TV audiences saw an American presidency of monumental proportions begin to crumble before their eyes. 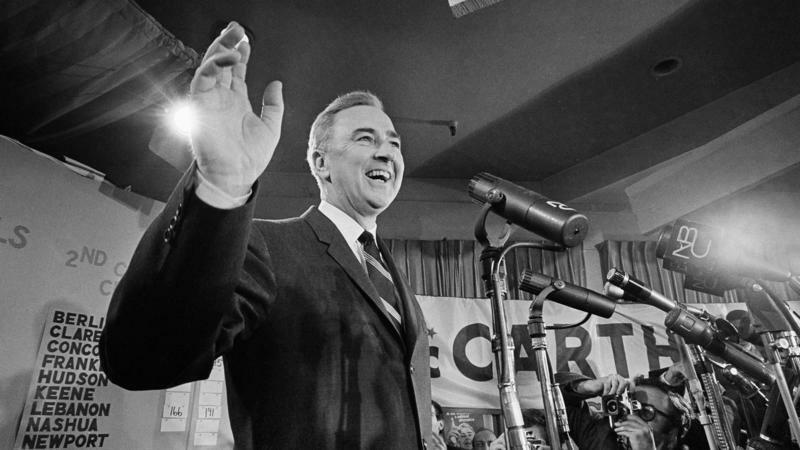 The occasion was the New Hampshire presidential preference primary, the "first in the nation" primary that has long been a tradition in the Granite State. American politics have always been rife with individuals who invoked the Almighty and sought divine leverage to achieve their own agendas. 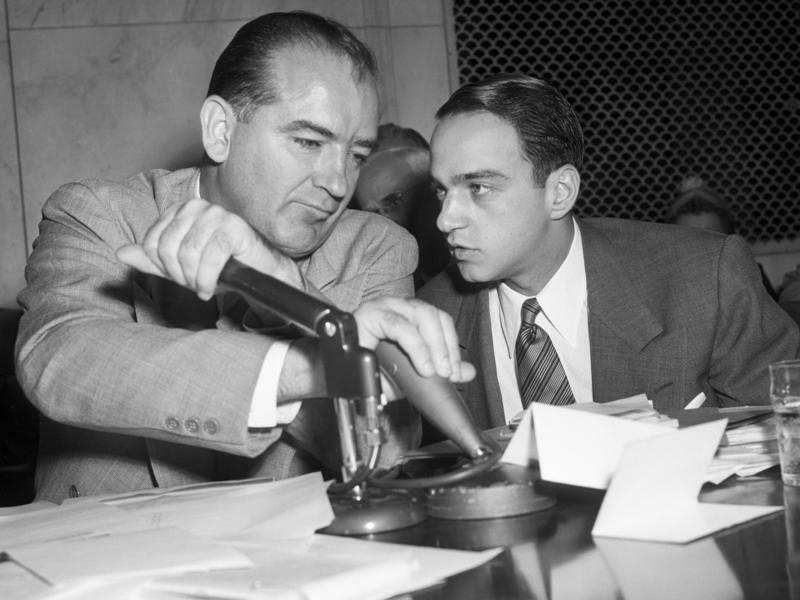 Partisans on both the right and the left have revered such figures – when they agreed with their ends – and reviled them when they did not. 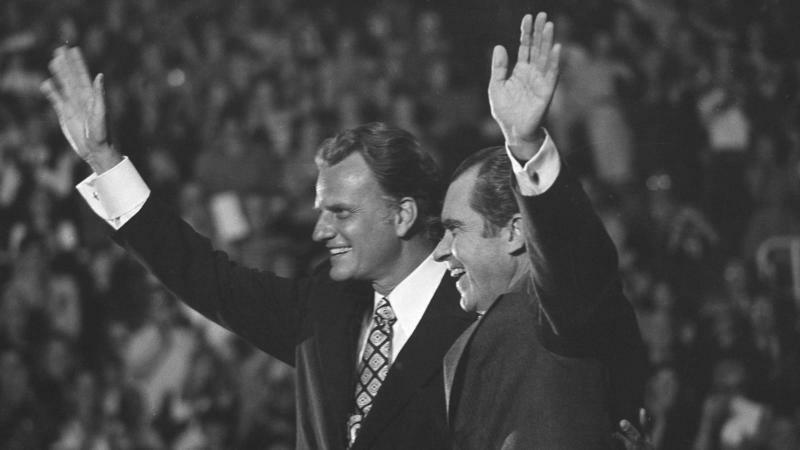 But it is hard to think of any clergy in any era who have ascended quite so far in the national political consciousness as Billy Graham. 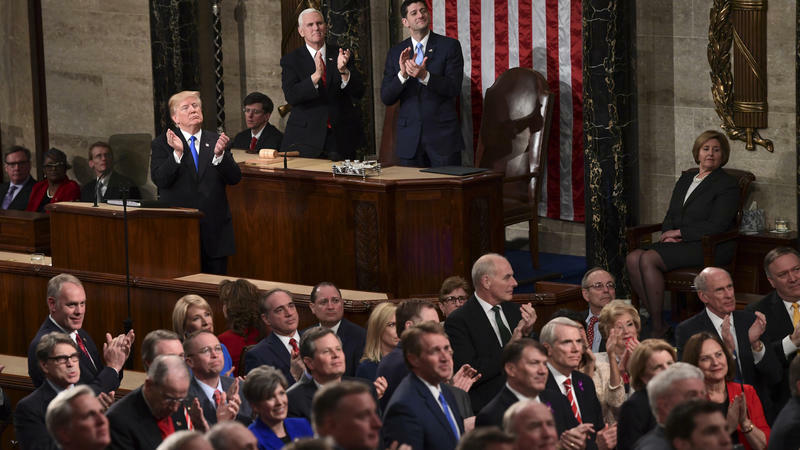 President Trump's first State of the Union address was billed as a bid for unity, a call for all to rise above party and faction in pursuit of national ideas and ideals. In fact, scattered throughout the 80-minute speech were several moments that might qualify as outreach. But if you blinked, you might have missed them.